A museum human resources leader wants the field to value all staff positions equally and see the opportunities they represent for diversity. Photo credit: Kevin Harber on Flickr. CC BY-NC-ND 2.0. 1. Invest in the fundamentals. Do you recognize and validate the diversity of career paths and skills across your institution (i.e. Facilities, Human Resources, Finance, Information Technology, Marketing & Communications, Administration, Security, etc.)? 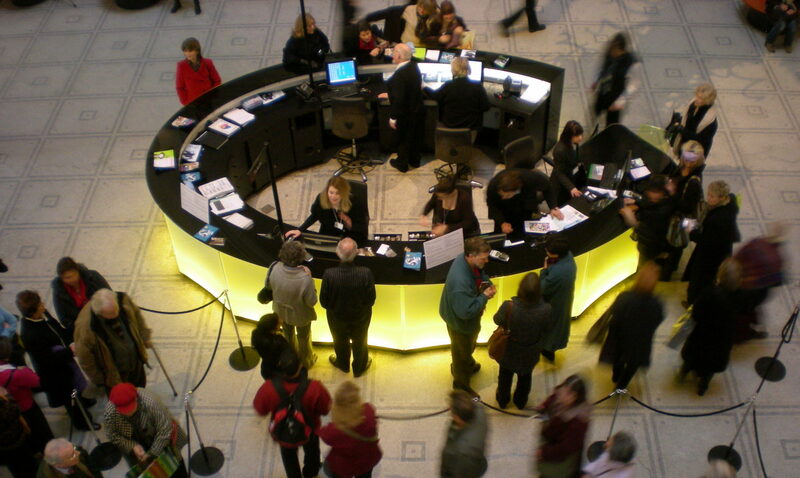 It takes all functions to keep a museum running and to provide a safe and welcoming space for staff and visitors. There are many roles and skill sets in the museum world that are sometimes undervalued because they fall outside of the “curatorial sphere,” but these same roles and skill sets are highly valued by other fields that we compete with for talent, and with a current unemployment rate of less than four percent in the U.S. we are in a competitive talent market. If we’re going to attract strong, diverse candidates to fill all of the roles in our institutions, we need to shift our language and recruitment practices to ensure that non-curatorial roles are not positioned or understood, either implicitly or explicitly, as secondary to content-related roles. A few ways to do this include: ensuring these roles are hired into your organizations; placing these positions in leadership roles; and paying equitable wages based on the knowledge, skills, and abilities required for the position combined with market rate pay, in alignment with your organizational budget. 2. Evaluate your education requirements. Do you require a master’s degree as a point of entry for your “professional” roles? While specific degrees are important in some functions, consider a vast array of degrees and majors for positions where this is not true; determine if college degrees or beyond are a true requirement for the position in lieu of experience. Consider depth of experience in a similar role, or transferrable skills and competencies that can open the doors for diversity of thought within the organization. To help eliminate barriers, remove the educational requirements for positions where it is not required. 3. Focus job requirements on transferable skills, not just demonstrated museum experience. To expand museum opportunities to a more diverse population, the field can look at the knowledge, skills, abilities and previous experience highlighted on a candidate’s resume. Requiring previous museum-specific experience limits the ability for a wider array of individuals to apply for positions. Consider recruiting from the hospital or hotel industries for roles in customer service, sales, and facilities, for instance. These populations work in environments that expect high standards of customer service, have diverse clientele, and have high-volume visitation. 4. Evaluate the titles of your positions. Museum and non-profit titles can be very specific or highlight characteristics of the person and not the position. Consider using more universal position titles when you post for positions externally. By using more universal position titles for postings, you will expand the reach to individuals who may have never considered working for a museum. Using more universal titles in conjunction with internal titles will attract individuals not familiar with museum-specific language, such as philanthropy instead of development, exhibit builder instead of preparator, or customer service & sales associate instead of visitor experience associate. Remove titles like “diversity intern” and limit naming positions after their funders if you want the role integrated into your organization. Titling an employee’s position with the name of a funder (with limited exceptions) or by pointing out the need for a diversity-specific position does not typically provide a welcoming environment where the employee feels like a complete member of the team based on their experience or ability to contribute to the organization. It often emphasizes that the person is there short-term, or for a particular project or program, and people may not invest the time and resources to truly engage them and help them grow. Invest in grant-funded positions, fellowships, and internships like you would invest in any staff member, as they are ambassadors and can create transformational leadership at all levels. These few tips can enhance opportunities related to recruitment, inclusion, and retention in museums. As Oakland Museum of California’s Director of Human Resources, Ayanna Reed brings more than 20 years of experience in human resource management. Prior to joining OMCA, she served as the Human Resource and Facilities Manager and Interim Director of Human Resources for the San Francisco AIDS Foundation. She is currently the President of the Board of the Northern California Chapter of the National Association of African Americans in Human Resources, a national organization for African American human resource leaders. I absolutely appreciate this article’s valid points. I believe it highlights current blockages to substantive diversity that result from unconscious bias and insularity. As a non-traditional (in many ways), recent graduate in Museum Studies, I found it impossible break through the pervasive bias codified in a large number of job requirements. I was the first generation of my adopted family to graduate high school and college, from a remote area; was a successful classical and theater performer before owning a small business; and, openly gender fluid member of the LGBT community. But, the only valued experience acknowledged in job openings was direct, traditional museum experience that has historically been unavailable to people from my background. Additionally, because my life did not conform to the expected servies of college in youth, followed by a single career-track. Therefore, a majority of minimum experience requirements blocked me from positions that I was, in fact, exactly suited to fill. As a result, I believe that our institutions & profession continue to hold a blind spot that misses a vast pool of talent, different packages of diversity. And, it is simply that these people do not fit the preseumed (stereotyped ?) education and life cycles– despite elaborate efforts to promote diversity. What I see is institutions and a profession that seem unable to recognize diversity when it does not fit a prescribed or expected form. And, unfortunately, it is a loss to all.